Sudan and South Sudan are engaged in a final round of talks to settle the outstanding issues of Abyei, border disputes and demarcation, security arrangements along the border, and citizenship. In the previous round, the two parties provisionally agreed to an economic deal. This deal, and the resumption of oil shipments from South Sudan through Sudan, should be implemented when the two parties reach a comprehensive agreement on the remaining issues. A comprehensive deal continues to be the only means of securing sustained peace between the Sudans. The dynamics of the upcoming round will differ from previous sessions. With the provisional oil deal on the table, the two parties—South Sudan in particular—will have less leverage in negotiations over the remaining issues. The amount the South will pay in transit fees and in financial assistance to the North has been provisionally fixed, and can no longer be leveraged to strike a bargain on the disputed border territories and Abyei. Since Khartoum and Juba have tentatively come to an agreement on the size of the financial package both parties have less of an economic motivation to reach a comprehensive deal in the upcoming round. The outcome of this round will be influenced in part by which country is more in need of the revenue derived from the resumption of oil shipments. The negotiating dynamics of the next round will also be determined by the level of interest both parties have in resolving the remaining territorial disputes and the status of Abyei. Khartoum politically benefits from maintaining the status quo of administrative limbo in Abyei rather than from the situation’s resolution. For Juba, territorial integrity remains a priority, but perhaps not at the expense of continued economic stagnation and the political threats sparked by austerity measures. 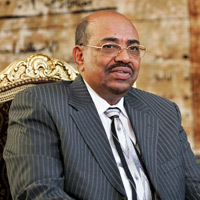 Neither Juba nor Khartoum faces serious domestic pressures to resolve the border disputes in this round. The international community is eager for the oil to flow again since the resumption of oil production will likely stop the ongoing damage to both countries’ economies. Therefore, the international community is unlikely to maintain the unified resolve that was a hallmark of the negotiations over the oil impasse. As a result, elements of both parties and the international community could be tempted to move forward with an oil deal and avoid addressing the politically challenging issues of Abyei and border disputes. Nevertheless, a timely and comprehensive agreement is fundamental to ensuring an end to conflict and long-term stability between the two Sudans. Both Abyei and disputed border areas have been sources of recent tensions and fighting. These areas are of economic and political significance to both Juba and Khartoum because of the mineral wealth and importance of key constituencies found in these territories. In its last communiqué, the African Union Peace and Security Council set September 22, 2012 as the date by which the facilitating African Union High-Level Implementation Panel, or AUHIP, should present its final report. To increase the chances of a comprehensive agreement, the interested international actors should treat September 22 as a hard deadline by which the two parties should come to agreement on all outstanding issues or face potential consequences.